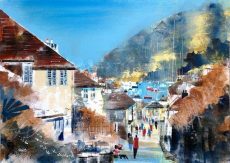 Artist Nagib Karsan was born in Tanzania in 1955 and spent his childhood between his home in Dar es Salaam on the Indian Ocean and boarding school in Somerset. 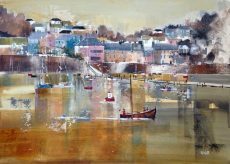 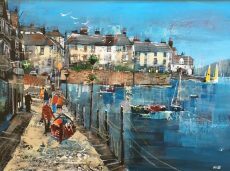 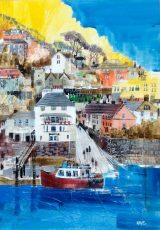 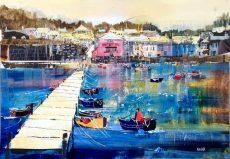 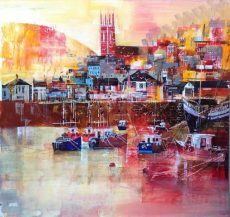 The rugged fishing villages of the South West captured Nagib’s heart and continue to inspire him long after his permanent move to the UK. 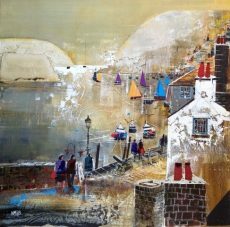 Like so many others, a childhood interest in art was set aside when a career in business beckoned. 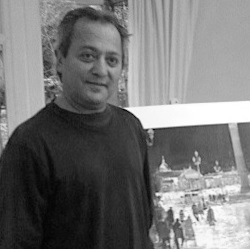 It has only been later in life that Nagib has had time to return to his first love, painting. 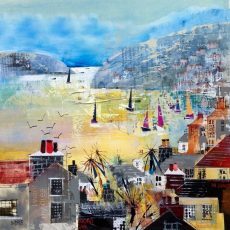 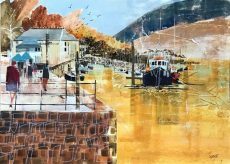 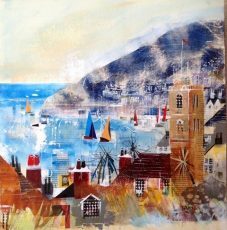 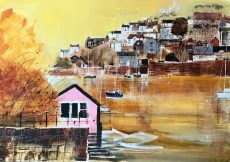 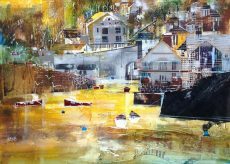 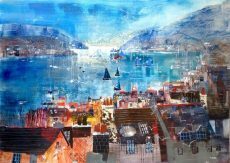 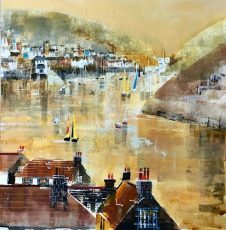 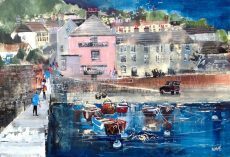 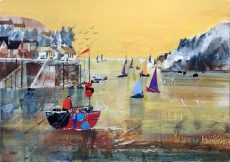 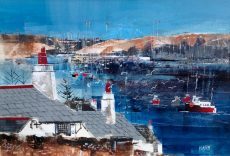 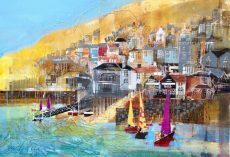 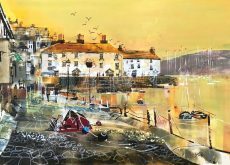 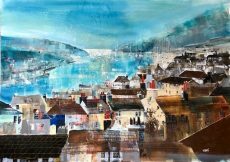 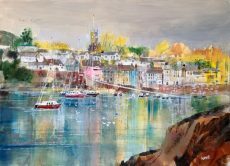 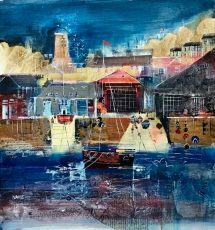 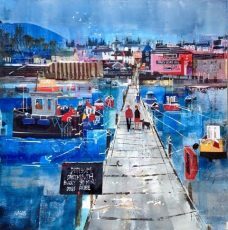 Originally working in watercolours, Nagib has progressed to using layers of collage to produce vibrant, colour filled paintings rich with texture and life. 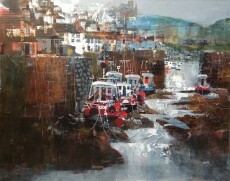 Nagib’s work makes a striking addition to any home. 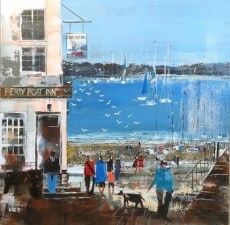 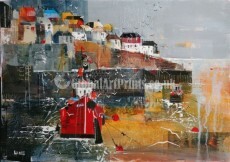 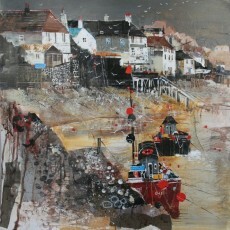 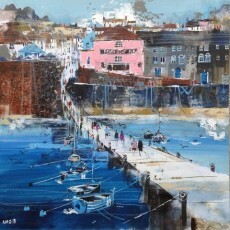 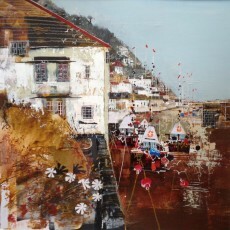 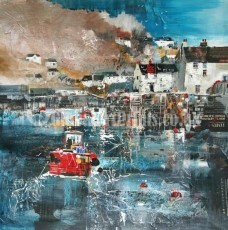 We have a lovely new collection of paintings just arrived from Nagib’s studio. 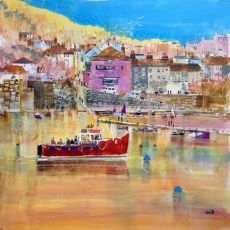 As with all of our original paintings, you can use Own Art with us to spread the cost, interest free.